Philly Cheesesteak Flatbread is a healthier spin on the traditional Philly Cheesesteak Sandwich. Loaded with veggies and plated on a flatbread, you’re family will come back for seconds! Today’s recipe for this yummy Philly Cheesesteak Flatbread comes from my e-friend Linda at 2 Cookin’ Mamas. Linda and her daughter Christina blog at 2 Cookin’s Mamas— this mother daughter duo love cooking and having fun in the kitchen together. 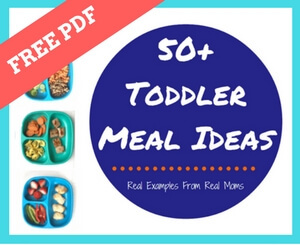 As busy moms, they both know the importance of getting a healthy meal on the table and in the shortest possible amount of time, so you’ll find lots of recipes there that are both quick and easy on their website. Linda enjoys turning old favorites as well as new ones into delicious and easy to prepare dishes, while Christina works on creating healthy dishes that fit her gluten-free lifestyle. So after you’re done drooling over this Philly Cheesesteak Flatbread, stop by their website and grab a recipe or just say hi! I was so happy when I met Katie, through Pinterest, and saw how much we had in common. We’re both Moms, have an interest in providing our families with healthy meals and are both crunched for time so quick & easy recipes are a major key to survival. So when she shared Summer Vegetable Soup with our readers I wanted to share one of our great recipes with you all! So I’m here today to bring you a great recipe for dinner or for that weekend football snack that is sure to please all the kids, big kids included, in your family. You can even work it into two meals. Cook one 3-lb. London Broil and serve half for dinner then use the remaining one pound for this steak flatbread. Now that is a real time-saver! I don’t know about you, but our family loves beef! And one of my husband’s favorite beef meals is a Philly cheesesteak sandwich. Now, if you know what goes into one of these sandwiches you know it isn’t one of the healthiest meals for you; so I set about trying to make it a little healthier so I would feel better making it for him. The first thing I did was cut down on the heavy carb load of bread. Usually served on a large sub roll, I thought it was a no-brainer to change it up to more of an open-faced sandwich on flatbread. I then filled it up with veggies, some fresh salsa and he didn’t even notice the difference! Well, maybe he noticed it but, after tasting it, he certainly didn’t miss it! The caramelized onions are the real treat in this recipe. They can be made on the stovetop, but take quite a bit of time, or in the slow cooker. Both recipes are included below. If you make them in the slow cooker make plenty extra, since you’ll have it on anyway, and either use during the week or freeze. The onions can be used in omelets, as a burger or pizza topping, on a grilled panini, mixed with sautéed spinach or stirred into dips and soups. Now we’re onto something! This has all the makings of a much healthier meal, beef that is lean and full of protein, peppers, tomatoes and garlic for vitamins and minerals and whole wheat flatbread to hold it all together. Cut onions into ½” thick slices then cut those slices in half. Cut yellow and red peppers in ½” wide strips. Heat a large skillet with a tablespoon or two of olive oil over medium high heat. Wait until oil is hot (you’ll see a shimmer to it) then add onions and peppers and toss to coat. Spread evenly in bottom of pan then lower heat to medium low and cook for about 40 minutes, stirring just a few times. After the first 10 minutes add sugar and a sprinkle of salt. This step is optional but will help the onions and peppers caramelize. If mixture looks like it is drying out, add a little more water to the pan. You may also need to add a little more oil if the vegetables are starting to burn. When mixture is done, add balsamic vinegar to skillet to deglaze it and add a little more flavor to the mix. This caramelization step takes a lot of time but it can be done beforehand in order to get dinner on the table a little faster. It keeps well in the refrigerator for several days. Or, for an easy alternative, cook in slow cooker while you’re at work and it will be ready to assemble when you get home. When ready to assemble, preheat oven to 425 degrees. Lay flatbreads on 2 large baking sheets. Divide the ingredients evenly between the 4 flatbreads. Start with a little drizzle of olive oil, followed by tomato basil bruschetta salsa, pile on thin slices of steak then top with onion-pepper mixture. Sprinkle on the mozzarella then parmesan cheese. Bake 8-10 minutes or until cheese is melted and flatbread is starting to crisp. Remove from oven and top with a little arugula. Serve immediately. **Slow Cooker option (make more and freeze): Combine (6 large) onions, 2-3 peppers, ¼ cup olive oil & 1 teaspoon salt in slow cooker, cover and cook on low for 10 hours. Thank you Linda for this awesome recipe! For more delicious recipes from the 2 Cookin’ Mamas, be sure to connect with Linda below. And if you are ever in Philly, I’d suggest eating the real deal. But since we are in Detroit, I’m making Linda’s version! Where is the recipe for tomato basil brushetta salsa?